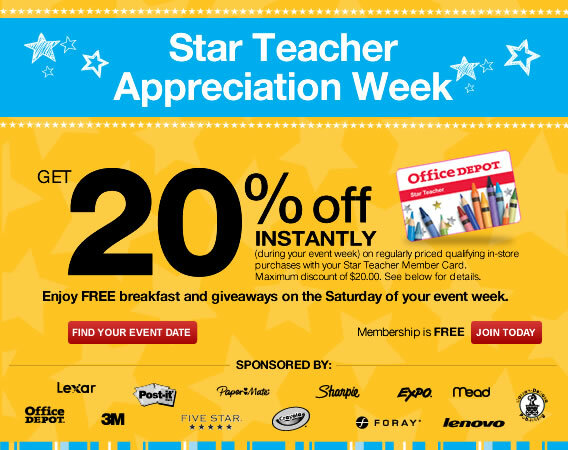 Office Depot is having a special day for teachers! Office Depot will have teacher appreciation day complete with a breakfast, giveaways and free bag of supplies this Saturday, 8/11. A few stores are holding their teacher appreciation days at other times, but you can check here to see when your event is. Teachers can also get an extra 20% off this week, 8/5-8/11. You just need to be a member of Star Teachers which is free to join. See all of the current Office Depot deals.